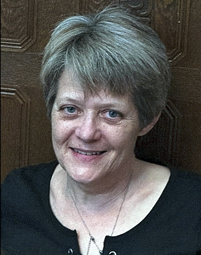 It is will great sadness we announce the sudden passing of Lauraine Picton at the Health Sciences Centre on Thursday, April 4, 2019 at the age of 61 years. She leaves to mourn her loving husband Ronald; her children, Danielle (Craig) Henderson, Roger (Cara) Picton, Ryan Picton and Jo-Anne Picton; and her beloved grandchildren, Taylor, Riley, Avery, Connor and Isla. Also left to mourn are her siblings, Louis Bernard, Denis (Aline) Bernard, Raymond Bernard (Marcella), and Irene (Daniel) Boyse. Also left to mourn is Ronald’s family, Owen (Marlene) Picton, Georgette Enns, Barbara Picton, Rose-Marie Clark, Philippe Normandeau, René Picton, Florence (Tony) Zurba, Brenda Picton, Pierre Picton, Michelle (Gerry) de Rocquigny, Raymond (Shirley) Picton, Annette (Richard) Eibner, Rita Picton, Collette (John) Barber, Dolores (Chris) Rutland, Gaston (Armande) Picton, Jean (Rita) Picton, and Laurent (Joanne) Picton as well as numerous nieces, nephews, relatives and friends. Lauraine was predeceased by her parents Léon and Fernande Bernard (née Poquet); her niece Nathalie Bernard and her great nephew Alex Bernardin; Ronald’s parents, Camille Picton, Germaine Arnaud and Edith Poole; Ronald’s siblings, George Picton, Maurice Picton, Francine Normandeau, Jeannot St. Vincent, Monique Picton, Reine (Ray) Durksen, Joseph (Henriette) Picton, Pierre Picton and Marie Picton. Funeral Services will be held in the St. Denis Roman Catholic Church in Haywood, Manitoba on Saturday, April 13, 2019. Memorial Service at 1:30 pm followed by Funeral Mass at 2 pm with Father Armand LeGal officiating. In lieu of flowers, memorial donations may be made to Central Plains Cancer Services, 318 Saskatchewan Ave E, Portage la Prairie, MB R1N 0K8.